Taco Tuesdays are EVERY Tuesday. Meet on the Dock at 5 for boat assignment. $5 to skipper or crew. July 26th is the SYC hosted Beat the Heat Regatta - part of the LBHS. Links to NORs and Registration can be found under the PHRF Tab. July 27th is the Cruise Race back from Cat Harbor. More info can be found on the Club Racing Tab. Registration is pretty much - take your own time and call it in. 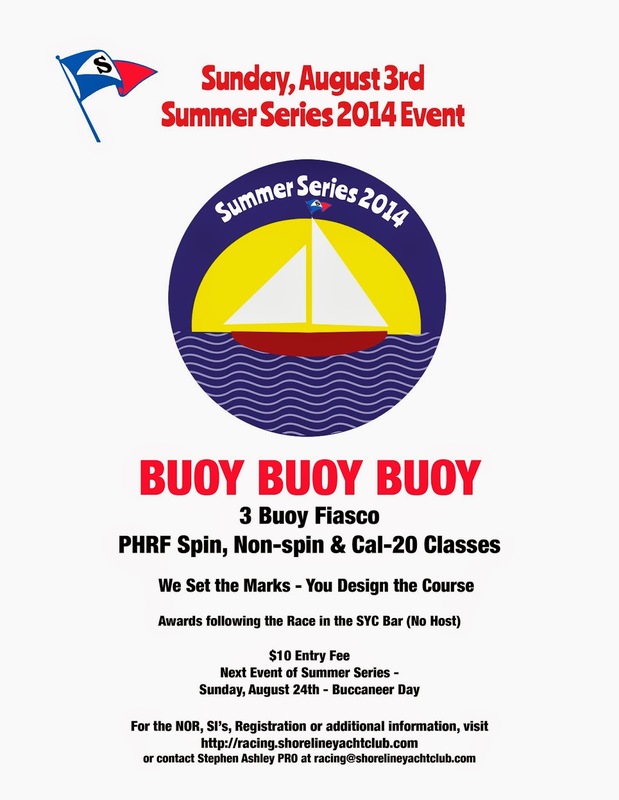 August 3rd is the Buoy Buoy Buoy Club Race for Big Boats and Cal 20s. More info and registration can be found in the Club Racing Tab. 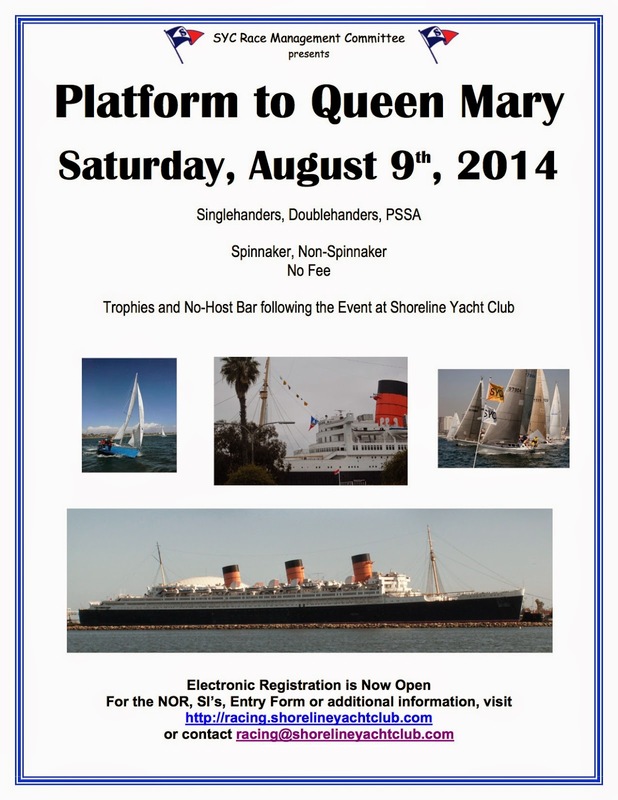 August 9th is Platform to Queen Mary - a Singlehanded and Doublehanded Regatta. More info and registration can be found on the PHRF Tab. August 14 - 17 are the Cal 20 Class Championships hosted. There is a special Tab for that with all the information in it. 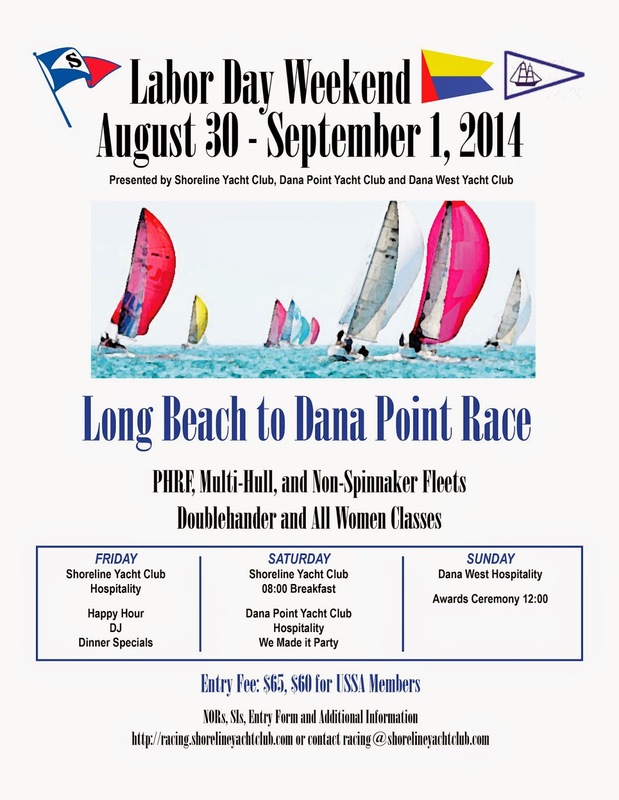 The summer ends with the annual Long Beach to Dana Point race over Labor Day weekend. Information is under the PHRF tab. We are still looking for some committee boats and volunteers. 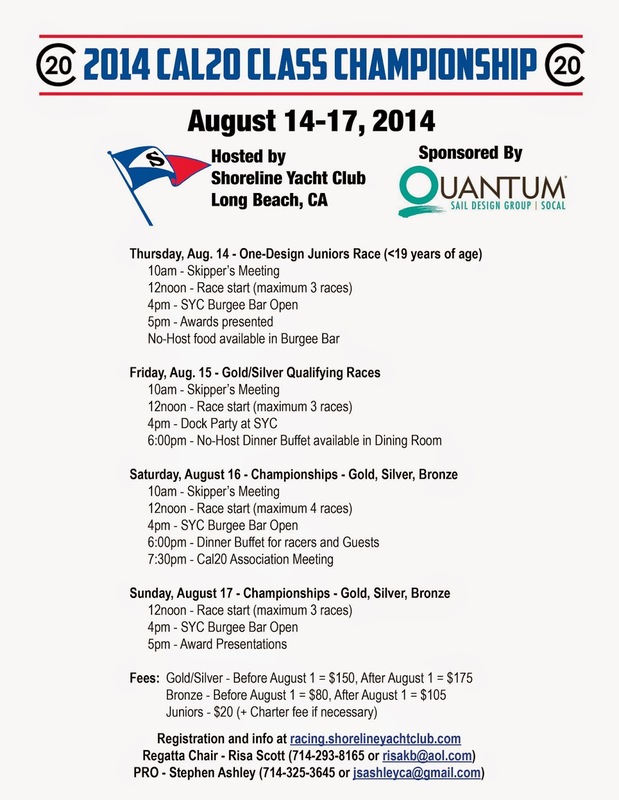 Please contact the race committee at racing@shorelineyachtclub if you can volunteer.